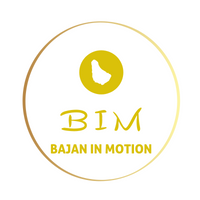 We are Bajan in Motion & welcome to beautiful Barbados. Here we have 166 square miles of the most wonderful places, spaces & faces on the planet. Despite the island being small there's always so much to see, do & simply experience every single day. Matter of fact, the only problem you may encounter when in Barbados is not being a local & that's where we come in. Simply because not even Google knows this paradise better than your everyday Bajan. And with Bajan in Motion you’ll basically have a dedicated team of locals in your pocket… or wherever you keep your phone. When you book your trip to Barbados with Bajan in Motion, we make it our business to find out exactly what experiences you’d like to have & then make them 246 times better. We do this by stream lining what ever processes are involved with what you want to do. For example say you love to work out everyday & that doesn't stop when you travel. But the hotel you're staying at doesn't have a gym... What ever will you do?? If you've booked your trip to Barbados with us all you'd need to do is call or message us, tell us what time of day or night you like to work out & we'd get you transportation from your hotel to a local gym & back. Whether you’re visiting for business or pleasure we’ll be here for you. Everyday your breakfast, lunch, dinner & transportation will all be taken care of by us for one flat all-inclusive fee. When you’re visiting a foreign land & you don’t have to worry about what to eat, where to go, or how to get there & back it can make for a magical experience. That coupled with our top notch service will ensure the only thing you have to worry about while you're in Barbados is the long wait until you're able to visit again next year.